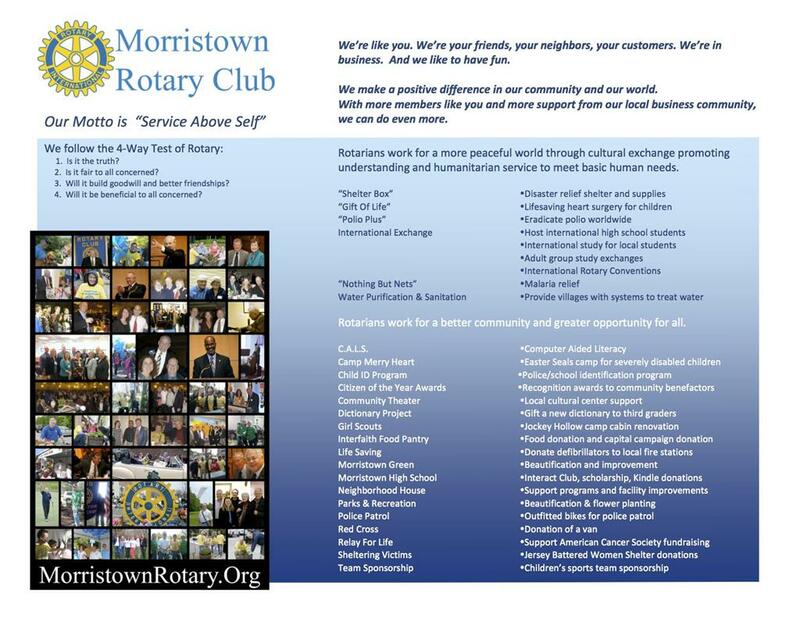 Morristown Rotary Club members do many different things for many worthwhile causes. Here's a list along with an invitation to check us out. 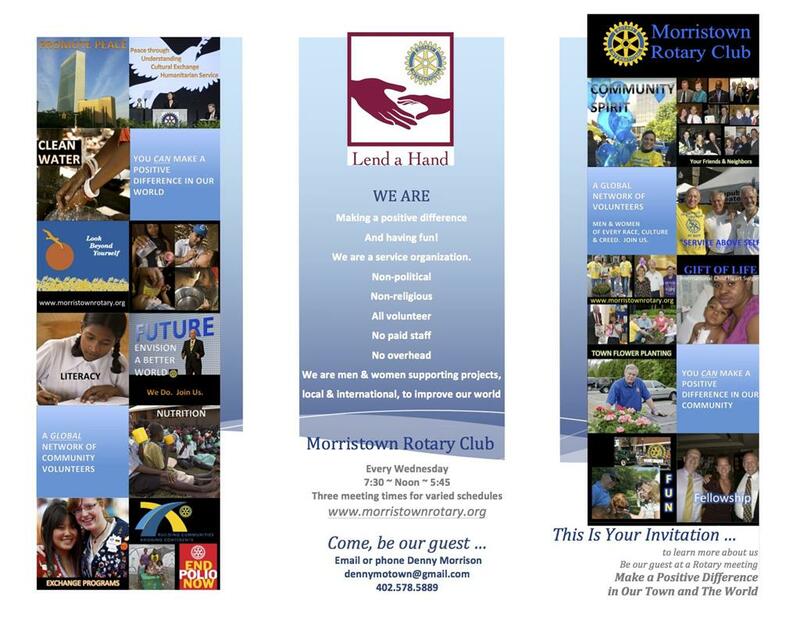 Share it with prospective members, event sponsors, and media outlets when talking about contributions our club makes in our community and worldwide.